There were no major flooding events during the entire 2014/15 season – even during spring. However it was unseasonably cold early on, particularly November and December when we were fishing some mornings at a chilly 3 degrees. Conversely, the months of January, February and March were very hot with near drought conditions in some areas. WOW WOW WOW WHAT A SEASON! The early signs were there in November with fat mouse fed fish. Tom Stevenson landing the first double fish of the season in early November, and from then through until March, the double figure flood continued. 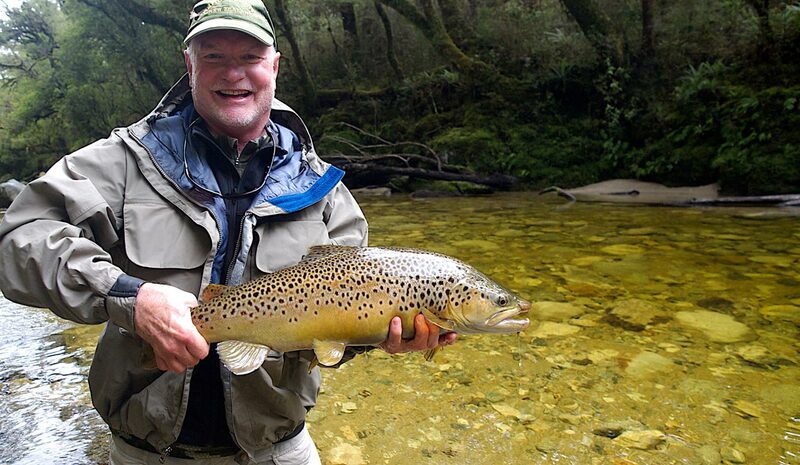 We broke all records, both of individual fishermen and our own guiding history since 1990. Nineteen double figures were landed including a sixteen and a half pound monster! Check out our new 2015TenPlus page. The following was printed in a local newspaper and sums up our past season well. 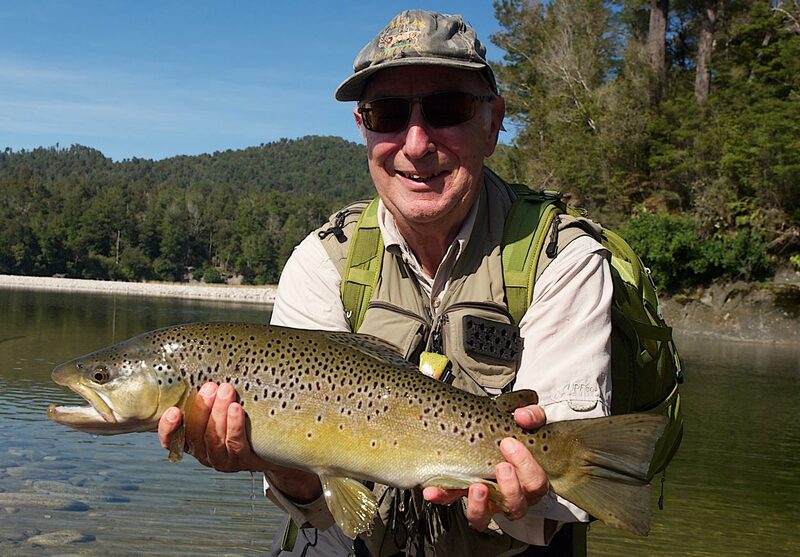 Last season will be known as the year for trophy fish that was borne by the advent of the beech forest mast – the catalyst for a rodent explosion. 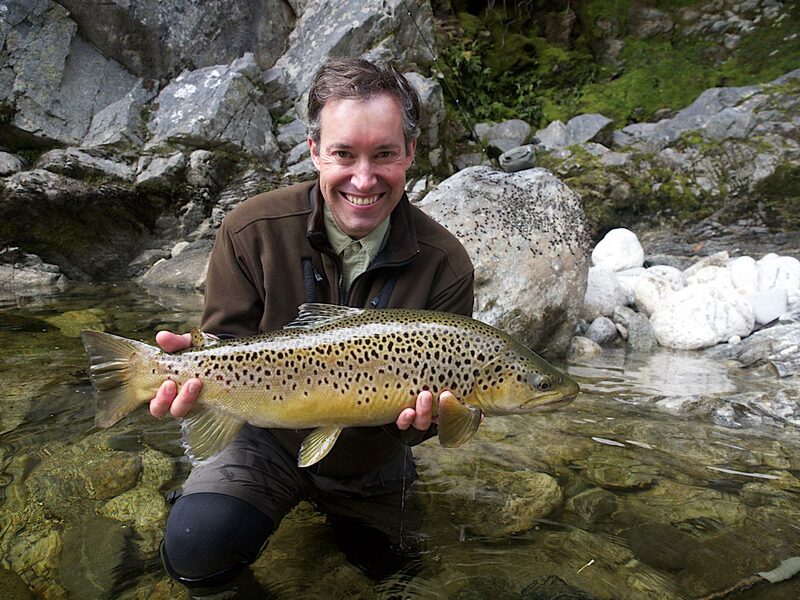 The hapless mice become trout fodder as they fall in or swim across rivers, and the trout – quick to recognise a large lunch – gorge themselves and practically double in size. 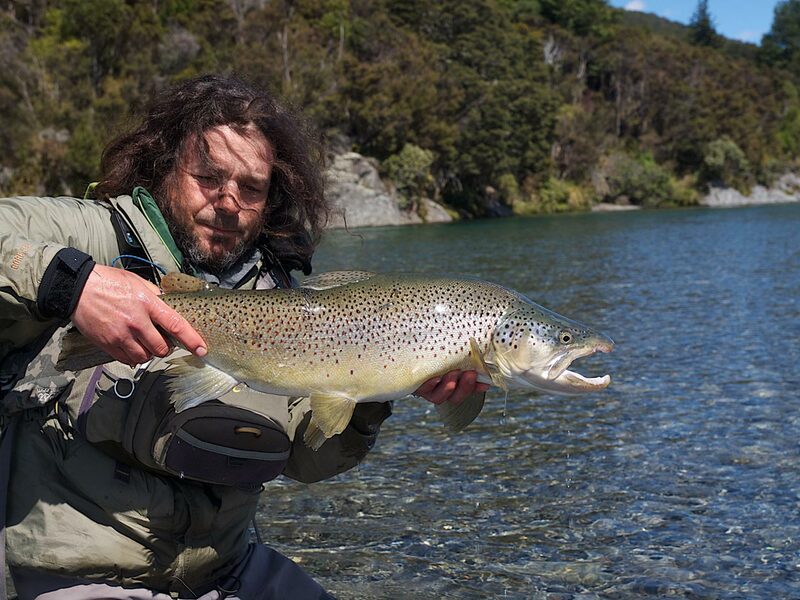 As a result, there was somewhat of an angling boom in the South Island back country and many anglers found themselves smiling behind hefty double digit fish”. REFLECTIONS ON A SEASON PAST . . . There were two star anglers this season – Ben Schulein and Ralph Gaudio. Both Ben and Ralph landed 6 double figures each – unbelieveable but true! See more details of their bounty and others on our brand new 2015TenPlus page. Thank you again to all of you who fished with me this season past. 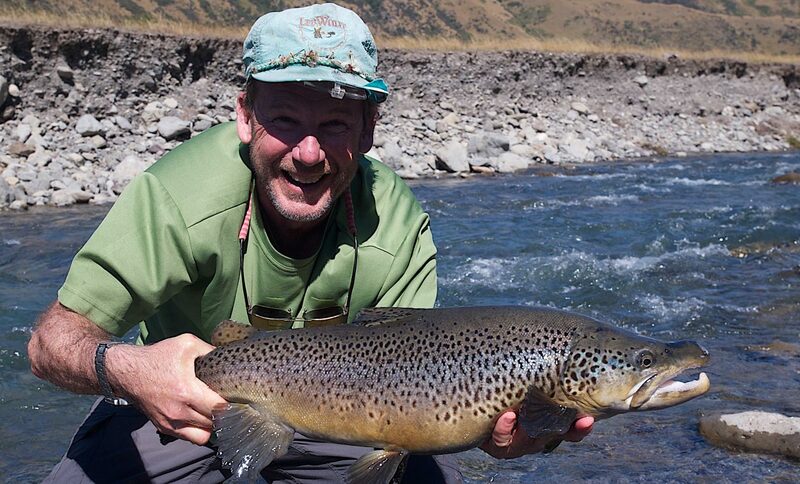 It was a memorable season and a real pleasure for me to share with you the excitement of chasing such BIG trout!